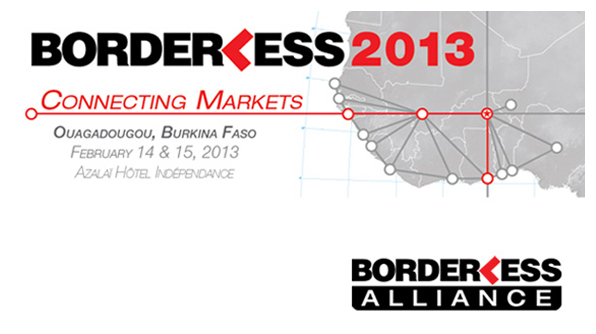 The Borderless Alliance, an initiative launched in 2011 to increase trade throughout West Africa, has recently announced its annual conference, Borderless 2013: Connecting Markets, to take place on the 14th and 15th February 2013 in Ougadougou, Burkina Faso. Private sector stakeholders from across West Africa will participate in the event, including the region’s leading trading companies, transport and logistics companies, banks and other financial institutions. ECOWAS and UEMOA, the regional bodies that obtain consensus on trade policy from West African states, will also participate along with representatives of ministries from West African states. Online registration for Borderless 2013 is now open at www.borderlesswa.com.